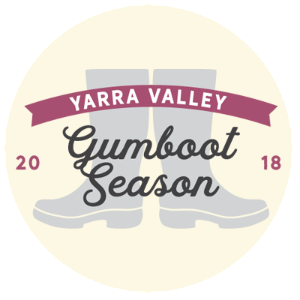 Introducing the inaugural Punt Road Wines – The Amazing Gumboot Race! Held on the Saturday 21st & 28th of July, starting from our cellar door in Coldstream at 11:00 am til 2:00 pm. There are some great prizes to won as well as a participation prize for each entrant. There will be mulled cider, beautiful wines & locally produced cheese platters available at the end of the event or for those that would rather relax with us at the cellar door. Who will be the best-dressed (i.e. fanciest gumboots!) or the fastest with the most correct answers… There are major prizes for each, both to be announced at the end of Gumboot Season. See you there, don’t forget your gumboots!